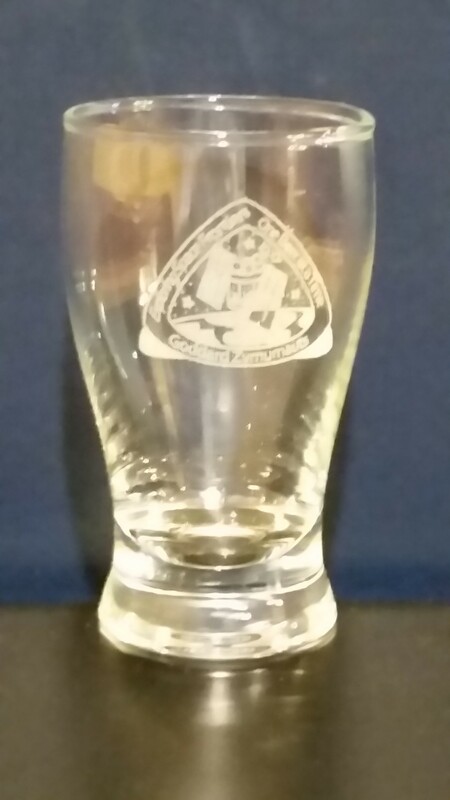 ​Sampler style glass with etched Zymurnauts logo. 5 ounce capacity. Price: $7 for one, $24 for four. ​We will not be reordering this style. Get 'em while they last! 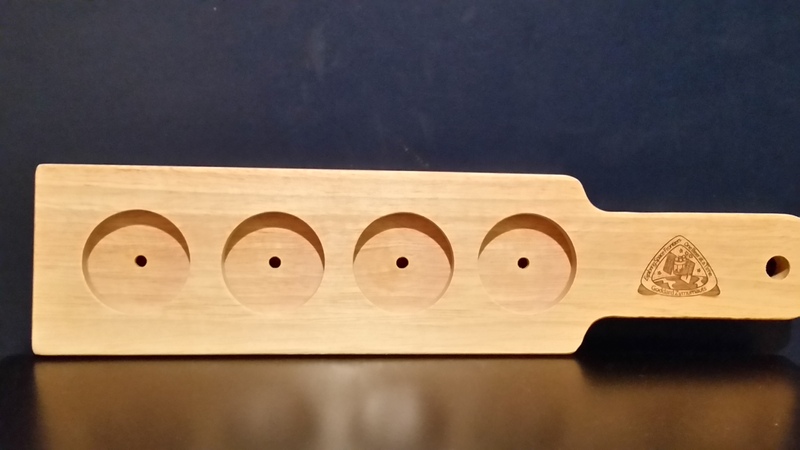 ​Handy paddle accommodates 4 glasses--both the Sampler or the Mini-Pub styles work with the paddle..
16 oz silicon glass with club logo.